You’ve probably heard the quote, “If you want to make God laugh, tell him your plans.” It’s not a Bible verse, but I think I’ll vote for it when the next translation comes out. The last time my plans were wrecked was three hours ago. I wish I could say I am learning to roll with the punches, but being a first born child, my tendency is to punch rather than roll. Only when my circumstances make it impossible not to give in do I wave the white flag. 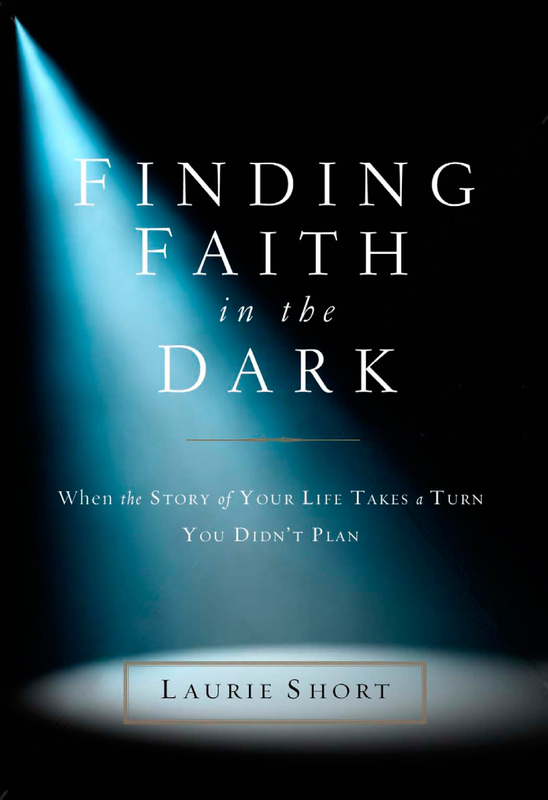 When you’re in the middle of what you believe to be a very good story, it’s a little disconcerting when God takes an eraser and a pen and turns a chapter of your life into something very different from what you thought it would be. But when you look back, you often discover His uninvited edits brought something wonderful into your life; something you now can’t imagine living without. In the summer of 1998, I thought it was my destiny to become a pastor’s wife. I had fallen in love with someone who shared my passion for ministry, and I knew God had to be smiling. This had to be what he had in store for my life. While we were dating, we had the opportunity to go on a mission trip together. It was the perfect way to see how we did as a team. He was already smitten, and this could seal the deal. A ring couldn’t be too far behind. It was my first trip to Haiti, and I immediately fell in love with everything around me. I don’t know if it was my state of mind, but it was then that Haiti lodged itself into my heart. After this trip, Haiti and I would never be the same. Our tour guide was a man named Ephraim. 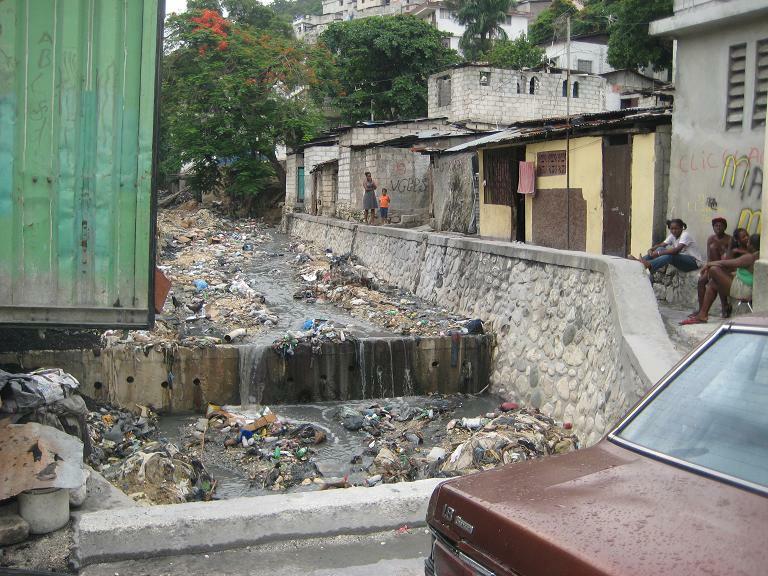 He was a soft- spoken man, and he said very few words as we drove through the slums of Port-au-Prince. He assumed that the scenery spoke for itself. We witnessed miles of one-room concrete homes piled on top of one another and glimpsed children and pigs bathing together in the sewers. As we sat in silence, I observed that our tour guide’s gentle, understated personality was paired with a contagious smile that penetrated the darkness around us. He didn’t minimize what we were experiencing; he just made sure we didn’t miss the beauty beyond it. Ephraim’s sudden laugh as he greeted the children reminded me of the 7Up Uncola man from commercials long ago—he had a booming Jamaican laugh that instantly filled people with joy. Ephraim was a light in the midst of great darkness, a beautiful spirit who shone with God’s love. I couldn’t help but want to know more about this man — where he came from, how he spent his days when he wasn’t hosting Americans. He never spoke about himself unless asked, and then only minimally. So I asked a lot of questions. Ephraim was born on the island of Lagonave, a small island situated off the coast of Haiti. It was home to the poorest of the poor. He was sent alone with his brother to Port-au-Prince to get educated when he was thirteen, and they were each given one outfit a year, including shoes. The shoes usually lasted nine months. His brother went back to Lagonave after a year, but Ephraim stuck it out. Eventually he graduated, mastered three languages, and became a pastor of a small church in Port-au- Prince. He lived at his church with his wife and two children, and he worked at Compassion International so he could pastor his church for free. We struck up an unlikely friendship. Though we had different skin tones, we seemed to have kindred spirits . At the end of the week, I told him I would find a way to keep in touch. When I got back to the states, my pastor-boyfriend and I broke up. (an unbelievable break up story, but I will spare you the details). Ephraim, however, became a permanent fixture in my life. Through letters, I discovered it was his dream to start a school in his church. He was so heartbroken at the ongoing oppression of his country and the minimally successful intervention from people outside his country that he wanted to raise up a generation within his country that would bring about change. With all the problems I saw in Haiti, I couldn’t help but think this might be the only thing that could work. 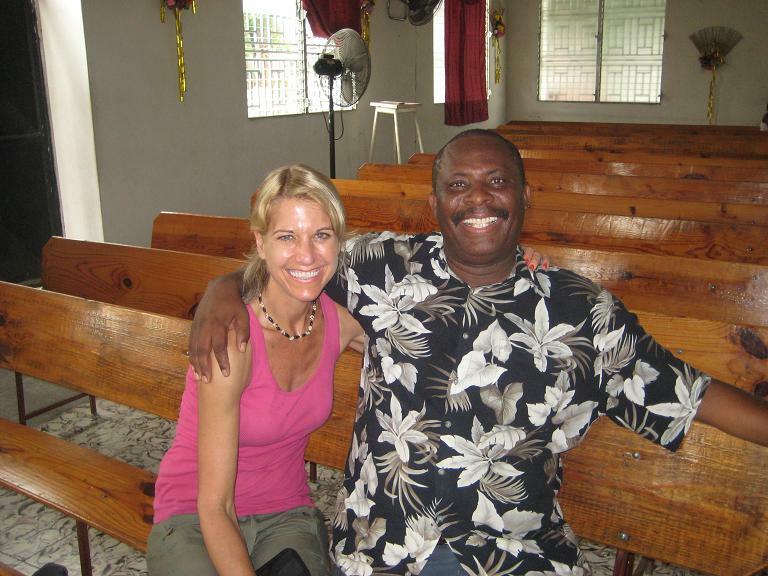 Nine years later, when I began working at a church in Santa Barbara, I brought a team down to Haiti and we formalized a partnership with Ephraim’s church. Along with our yearly visits, our church raised funds to purchase a generator, a stove, paints, construction materials, books, supplies, and medicine. A doctor fell in love with Ephraim’s ministry and travels there three times a year to conduct health clinics for kids and families. Plans for Ephraim’s school are set to materialize before he retires, and some of the proceeds from my book (if there are any) will find their way into his hands. I think back to the relationship that led me to make that very first trip to Haiti. What a different story I had in my head. It’s one of the many small stories I’ve written that has been erased and rewritten, made better and bigger, and changed by my life’s Editor. And looking back, he did a masterful job. Fifteen years after I met Ephraim for the first time, I finally introduced him to someone he had prayed for all those years. 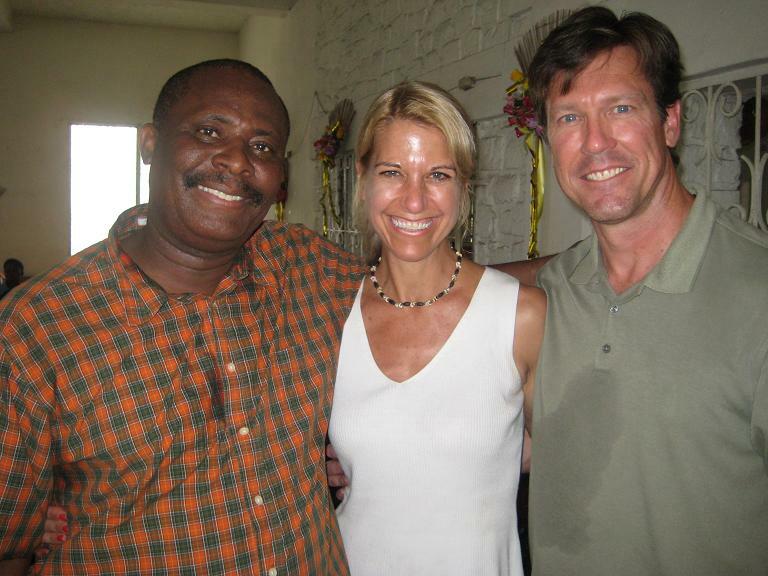 And it was the end of that week in Haiti that the someone he had prayed for proposed. Where have you seen the Master Editor at work in your life? Anything you are thankful for now that at the time you weren’t so happy about?